Be the first to share your favorite memory, photo or story of Freda. This memorial page is dedicated for family, friends and future generations to celebrate the life of their loved one. 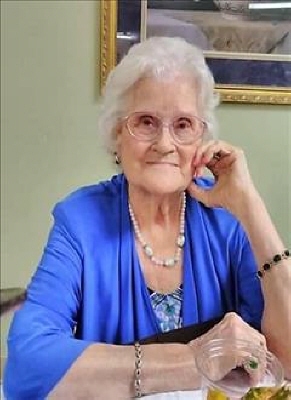 She was preceded in death by her husband, John Houston Cunningham; her child, John Houston Cunningham, Jr.; her grandchild, Justin Brewer; her great grandchild, Tateum Bennett; her parents, Lester & Rosie Wyrick; and her siblings, Juanita Cunningham, Uldine Ratliff, Lavada Sample, June Teague, Rachel Davis, Eugene Wyrick, Paul Wyrick, Wesley Wyrick, Nathaniel Wyrick, Sonny Boy (Silas) Wyrick, James Lester Wyrick, and Kenneth Wyrick. She was a member of Jubilee Christian Center. To send flowers or a remembrance gift to the family of Freda May Cunningham, please visit our Tribute Store. "Email Address" would like to share the life celebration of Freda May Cunningham. Click on the "link" to go to share a favorite memory or leave a condolence message for the family.